Divi Builder Review 2018: Is It The Ultimate WordPress Page Builder? Divi Builder is a powerful page builder plugin from Elegant Themes. Check out this detailed review to find out all the best features of the plugin and to decide whether you should go for it or not. Simple yet powerful drag-n-drop page builder. Dedicated document with a support forum. Easy to use drag-and-drop page builder. Unlimited potential to create any type of layout. The layout won't work if you disable the plugin. Takes time to load the builder for existing content. Using a visual composer plugin is the easiest way to design a post or page layout in WordPress. While there are several plugins for this purpose, Divi Builder is one of the most popular choices among the general users. This plugin allows you to create beautiful content layouts without writing any code. If you have always wondered about Divi Builder or maybe looking for a new page builder plugin, you have come to the right place. Our today’s post is an in-depth review of Divi Builder. Read on to know more about its best features, how to use the plugin, its advantage, disadvantage, and everything else you should be aware of. Without further ado, let’s get started. Divi Builder started its journey as the page builder of the Divi theme. This feature became so popular that the company decided to release it as a separate plugin. As a result, Divi Builder was born. You can use the Divi Builder plugin with any WordPress theme to have the same page building power offered by the Divi theme. This allows you to use any theme you want and still have access to the superior visual composer system. Installing the Divi Builder plugin is very simple. First of all, download the plugin from the member’s area of ET website. You will get a zipped archive of the plugin. Next, login to your website dashboard, go to Plugins > Add New, and upload the plugin. Activate the plugin once it is installed. It is also possible to control which type of users have access to which options. You will find the options in the Divi > Divi Role Editor page. You can define the options for the Admin, Editor, Author, Contributor, and so on. Other than these, there is no setup process involved to use the plugin. There are 46 content modules to help you create any type of layout. This includes all the essentials like the blog, gallery, portfolio, map, counter, pricing table, testimonial, video, map, slider, tabs, toggle, code, CTA, buttons, blurb, and so on. There are lots of demo layouts to help you get inspiration. What’s more, the plugin comes with 30+ ready-made layouts that can be used with a single click. You can edit or modify the layouts according to your requirements. Divi Builder features 3 section types and 20 row types. When you combine these with the 46 content modules, you have a killer combination that can be used to create any type of layout. There are advanced styling options to customize the modules, rows, and columns. Depending on the content type, you can choose the font, size, height, width, margin, padding, color, background, and so on. It is also possible to check out the preview before confirming the changes. Divi Builder enables you to override the default styles by applying custom CSS. You will find the options in the “Advanced” tab of the module settings. The available options allow you to add a custom class, ID, and apply custom CSS before, after, or directly to the main element. The plugin offers the whole set of admin options to manage the rows, columns, and modules. You can drag and drop any of these into your desired location. There are separate buttons to delete or duplicate the items. It is also possible to rename, lock, or collapse the elements. Copying and pasting different elements is another interesting feature of Divi Builder. This feature enables you to copy any element with all the customization and use the copied items on the same page or even other pages. You can undo or redo any action performed inside the Divi Builder. While the simple undo and redo allows you to go one step forward or backward, the history feature allows you to go back to multiple steps backward. Divi Builder offers complete spacing controls for your layouts. The default styling adds some basic spacing, but you can precisely define the vertical spacing between the section and row, the horizontal spacing between the columns, and set custom margin and padding for any element inside the layout. The library feature enables you to store an unlimited number of customized builder elements and layouts. You can use the saved items on other pages of the website. It is also possible to import or export the saved items to use these on other websites as well. You can enable the visual editor for editing any content from the front-end. It is possible to add, edit, delete rows, sections, and elements from the front-end. Drag and drop these items to create your desired content layout. The plugin features a fully responsive layout, which means your website will look great on all screen resolutions. What’s more, any customization you make will also be applied to the other screen resolutions. Divi Builder comes with a large number of layouts. There are more than 30 ready-made layouts to help you create the home, blog, shop, product, project, portfolio, basic page, about us, contact us, coming soon, splash page, landing page, maintenance mode page, etc. in different styles. It is also possible to save your own layouts to the library. You can access all of your saved layouts by going to Divi > Divi Library from the dashboard. There are separate options to manage the category, and export, import the layouts to other websites. Using the Divi Builder is very simple. You just go to the post editor and click the “Use the Divi Builder.” This will replace the default post editor with the Divi Builder interface. Divi Builder works by dividing the page into separate sections. You can choose a separate column structure for each of your sections. Then, you can add builder elements to the individual columns. The plugin will automatically create the first section for you. Click the “Insert Column(s)” button to choose the number of columns for this section. You can choose a single column, or two, three, four-column layout with different sizes for the columns. Click the “Insert Module(s)” button to add modules to the columns. Browse the available elements and choose the desired element. The next screen will provide you with the module settings for your chosen element. Don’t forget to check out the Design and Advanced sections to manage the styling options for the module. Once you have set up the module, you have three options. You can save the module and add it to the library, check out the preview, or save the module and exit. Choose modules for the other columns by following the same steps. You can add more than one builder element into a single column. Re-arrange the elements by dragging and dropping these into the same column or placing them on other columns. So far, I have discussed setting up a single row in a section. But Divi Builder also allows you to use more than one row in a section. You can add a new row by clicking the “Add Row” section. You can choose a separate column structure for the row, and add elements to the columns. While the first two sections are self-explanatory, the third one enables you to add specially structured sections that feature unique layouts. On the other hand, “Add from Library” allows you to use previously saved layouts. You will find separate buttons to delete, duplicate, and manage settings for all the modules, rows, and sections. Click the “Save to Library” link to save the current layout to the Divi Builder library. And the “Load from Library” button enables you to use any of the ready-made layouts or the ones you saved previously. ET members will find a dedicated Divi Builder section on their account dashboard. 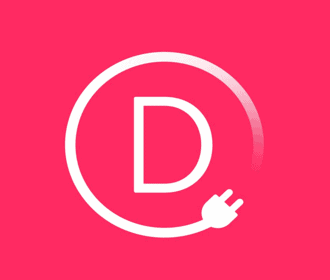 There are links to basic tutorials like an overview of the plugin, installing it on your website, using the ready-made layouts, exploring the Divi library, and so on. There is also a direct link for the complete Divi Builder documentation. In case you can’t find the answer to your question in the documentation, your next step will be to check out the dedicated Divi Builder forum. Browse the available threads, search for your desired topic, or open a new thread about your problem. Yearly Access: The yearly access plan offers unlimited access to all the ET themes and plugins. You can use these on an unlimited number of websites and get premium support, updates during your membership period. The plan is priced at $89 per year. Lifetime Access: This is a lifetime plan that allows you to enjoy all the benefits of the yearly access plan for a one-time payment of $249. If you are planning to use Divi Builder for several years, you should go for the lifetime plan. Both plans come with a 30-day money back guarantee that allows you to get a refund in case you are not satisfied with the product. Unlimited potential to create any layout. Lots of content modules for any type of content. Lots of configuration options for the layouts. Save layouts to library along with import, export features. The layouts don’t work if you disable Divi Builder. It takes a while to load the visual builder for existing content. Divi Builder is essentially a page builder plugin. While there are several other page builder plugins available out there, Thrive Architect would be an excellent alternative to the Divi Builder. This is a powerful visual editor plugin that allows you to edit the content on the front-end and check out the live preview at the same time. There are lots of custom elements like buttons, CTA section, testimonial, content box, pricing table, countdown timer, social sharing, videos, automatic table of contents, etc. to help you create unique post and page layouts. The plugin is fully responsive, which means any layout created with Thrive Architect will work correctly on all screen sizes. No, you have to be an Elegant Themes member to use Divi Builder. Is Divi Builder Good For SEO? Yes, Divi Builder follows all the SEO best practices and it is a good choice for SEO. What’s the Difference between Divi Theme and Divi Builder? Divi theme comes bundled with the Divi Builder. On the other hand, Divi Builder enables you to use the builder features with any WordPress theme. Can I use Elegant Themes with WordPress.com? 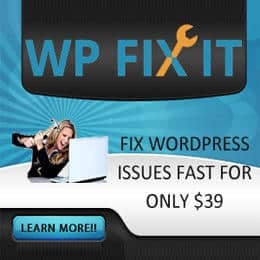 No, your website should have a separate WordPress.org installation to use the Elegant Themes products. As you have seen above, Divi Builder comes with so many features that it will take a while to get used to all the available options. But once you do, you will have a powerful set of tools to create any design you want. If you want to design custom content layout and create these without any coding, you should go for Divi Builder. It will definitely be worth your money. Divi is one of the best WordPress Page Builder, created by Elegant Themes. Note: It's a limited time offer.